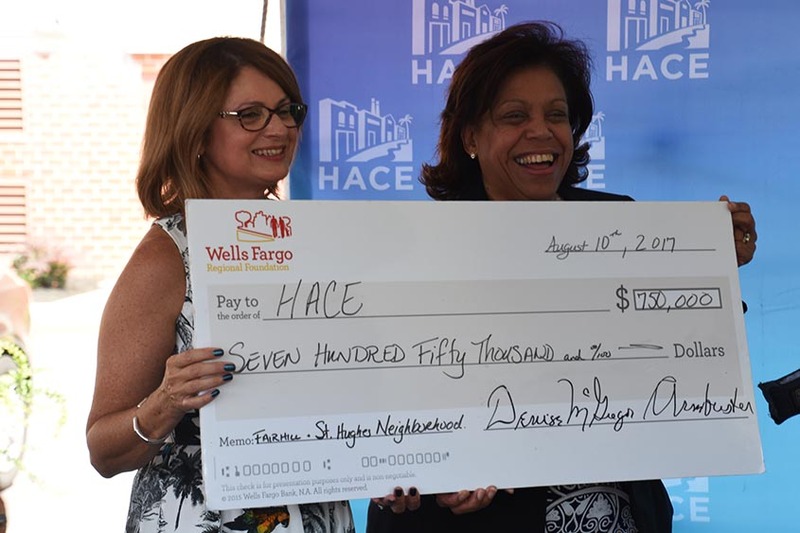 HACE’s mission is to combat community deterioration through economic development initiatives that address commercial revitalization, employment opportunities, the creation of safe affordable housing, and the provision of support services to meet the needs of the community residents towards re-building the neighborhood’s economic base. We focus on the possible and work to restore our primary neighborhoods so that residents will benefit from sound investments that improve their quality of life. This is a very exciting time for HACE. For the last 33 years HACE has been leading the charge to assure that our neighborhoods are not forgotten and get the attention that is needed to leverage resources for the improvement of the quality of life for our families. HACE’s community building strategy is to develop and implement an agenda of tangible, focused projects and programs that address quality of life concerns and boost the confidence of residents and investors. Over the last 20 years HACE has leveraged over $100 million in housing and commercial development projects and other investments in the Fairhill and St. Hugh Neighborhoods. There is much work that still remains to be done. The gap between the needs of our community and available resources is enormous. That’s why HACE’s 2025 Neighborhood Plan includes a comprehensive community revitalization strategy that looks deeply at the problems affecting our neighborhoods, considers all of the available solutions, assesses available resources and charts a long-range, multi-year path to bring about positive changes to improve the quality of life of our residents and attract investments that contribute to the overall economic health and vitality of this community.